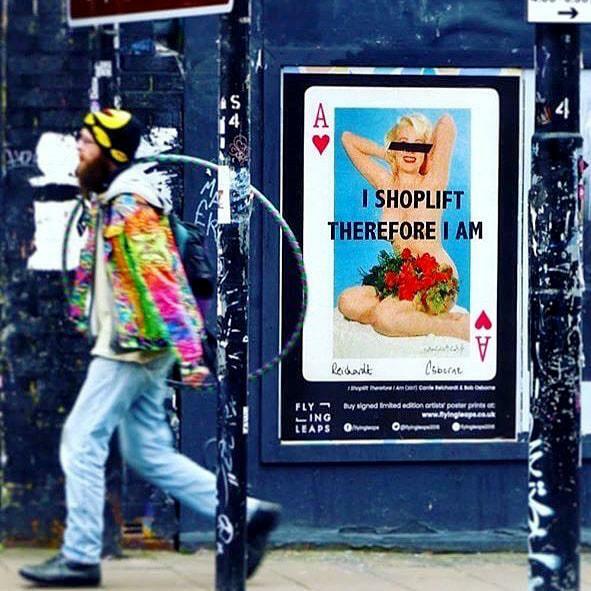 By Adrian Burnham - Curator & Art Critic Carrie Reichardt is never going to entirely shuck off her anarcho-craftivist rep. How could she? Reichardt’s protest by deed visual activism – the _Tiki Love Truck _(2007), Trojan Horse (2011), a life size statue of suffragist Mary Bamber (2011) now on permanent display at the Liverpool Museum – are works that typify and reflect the artist’s core concerns: systemic injustice, cruelty, social activism... Reichardt’s large scale public works along with prestigious residencies and high-profile funded research such as the Winston Churchill Travelling Fellowship (2013) ‘To Advance the Craft of Community Mosaics’ increasingly confirms her, at home and abroad, as a stand out socially engaged art practitioner: one of the top ‘go to’ persons when public bodies are awarding commissions. When they want someone who can engage, perhaps enrage but certainly encourage existing and new publics to reconsider the role of the artist in challenging normative historical and social narratives. But with all this, from the strident socio-political protest to projects that give voice to overlooked communities sometimes it seems as if the art work, the material objects Reichardt produces, play second fiddle to raising awareness. 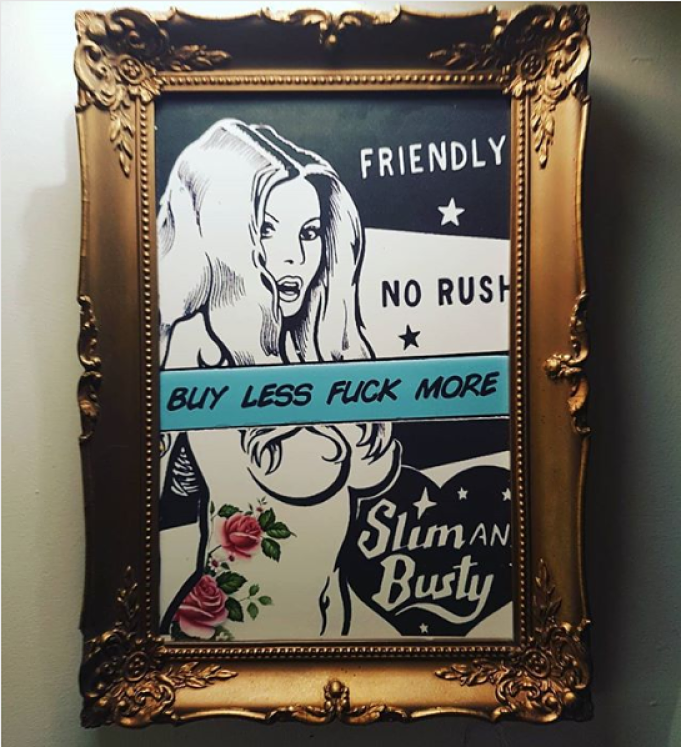 The binary opposition between fine art and craft is being challenged. Some artists who foreground the importance of craft skills while simultaneously commenting on social ills and mores are being ceded a more prominent status by galleries, museums and in the media. Although there’s also a sense in which, say, Grayson Perry ticks that box so we don’t have to admit any more grubby craftspeople into the art canon proper. ﻿ The esteemed curator and writer on art and design Catherine Flood included Reichardt’s Tiki Love Truck in the 2015 exhibition Disobedient Objects at the V&A and it proved one of the most celebrated items on show. Even so, it was of course presented in the context of ‘protest design’ and thus underplaying what a remarkable artefact it is. A very impressive work that does what all good art should: that is confront us on a number of different levels: the material, aesthetic, sensual, social, intellectual _and _political. So while continuing to applaud the activist cheerleader for so many cherished causes – from campaigning on mental health to environmental issues to challenging sexual stereotyping – maybe it’s also time to recognise, after a quarter century working across various media, that Reichardt’s output is much more than a vehicle for protest. At her first invitation to Nuart Stavanger Festival in 2017 the artist’s contribution to the Tou Scene exhibition was a highlight, proving the art stood up to scrutiny quite apart from the lecture/presentation, workshops and street interventions Reichardt is more often known for. This year she was the first named artist to be announced as featuring in Nuart Aberdeen 2018. 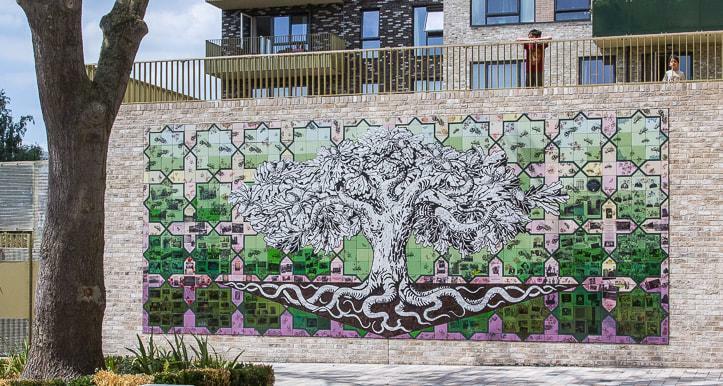 Reichardt is also increasingly gaining critical acclaim for her heritage art installations, the Tree of Life ceramic mural in South Acton, London being a splendid example. And it has been announced recently that she’s been awarded the commission for a forthcoming ceramic installation at Finsbury Park station. 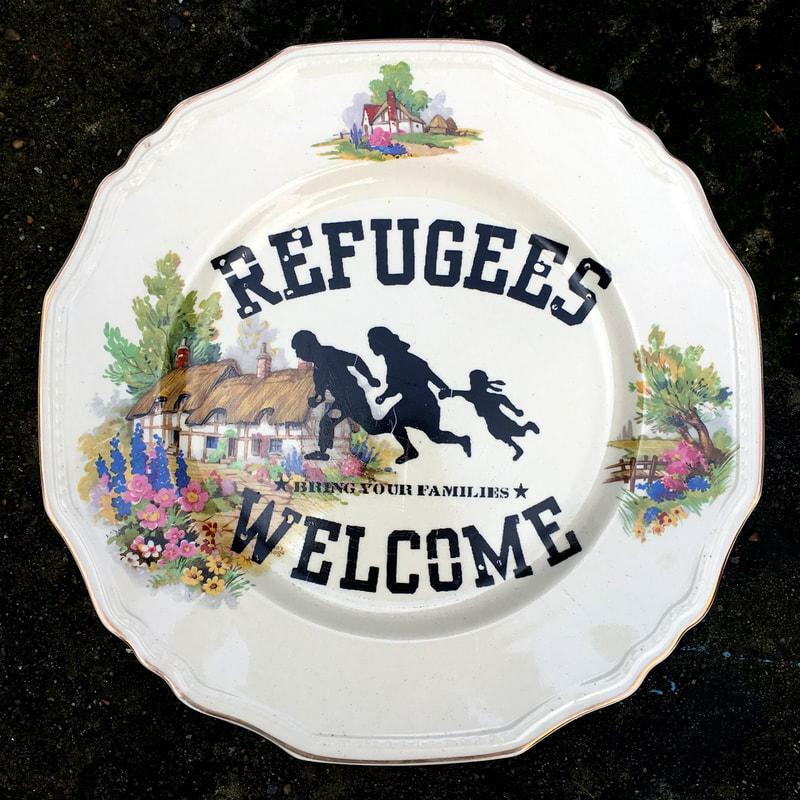 And while she’ll no doubt continue to ply – in collaboration with Bob Osborne – her risqué repurposed ceramic wares, tiles and flyposted images, Reichardt is at the same time making inroads into the various aspects of the art establishment. Having just been invited to become the first visual artist in residence at the Shakespeare Birthplace Trust being a case in point. 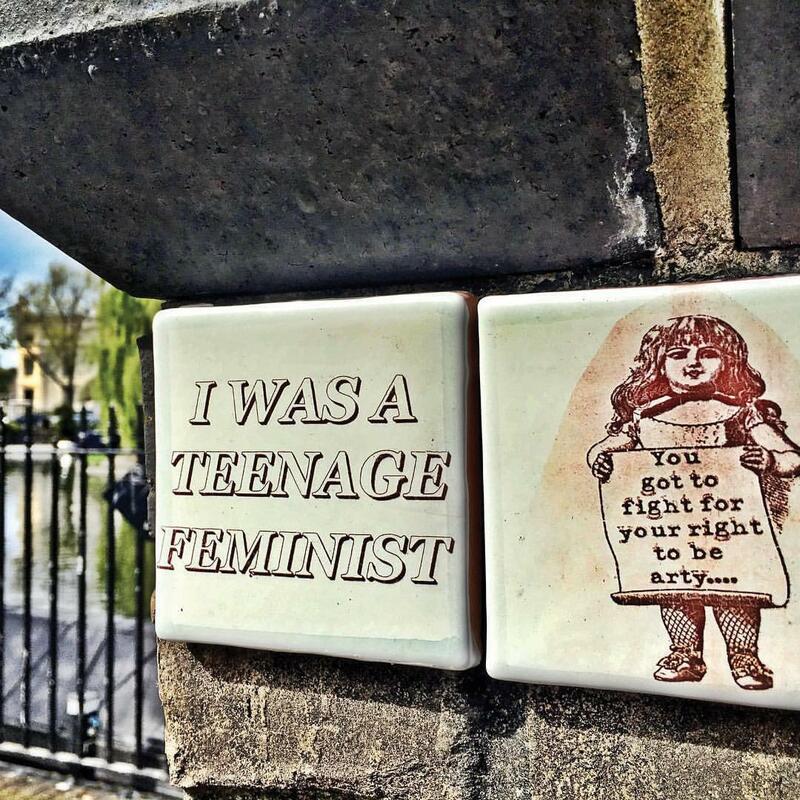 So, as well as being lauded as an international street artist, an inspiring activist at the forefront of a new breed of craftsperson, it’s becoming ever more apparent that through the range and quality of her work and the increased attention being paid to it, Carrie Reichardt is proving herself to be not just a firebrand but a very fine artist.